How much money should you bring along for your Vietnam trip? Before traveling, everyone may consider how much money should they bring along the trip? Which currency you should prepare? Should you exchange some local currency in advance before you come or should you bring the dollar along with you? This post will give you some tips for preparing money for your Vietnam trip. In Vietnam, both Dong or US dollar are widely accepted among major shops and restaurants so you can easily use these two of currencies. However, even the US dollar is preferably at many shops or restaurants, you should exchange for some Dong at home before you travel and if you can, you should use Vietnamdong for daily expense including purchasing/ eating/ drinking more than the US dollar because the sellers may convert it from Dong at their chosen exchange rate which may or not to be close to the official exchange rate, making it more expensive than the cost in Dong. Normally the cost of traveling is very reasonable in Vietnam. If you don’t intend to buy any expensive things such as luxury jewelry, pictures, high-end products … you should exchange maximum of 300USD for Vietnamdong – equivalent to 6.500.000 VND in advance and bring another 300USD along the trip (or more) depending on your purpose. 300USD (or 6.500.000 VND) could be enough for daily expense within a week of traveling for 2 people. You should not change too much money (more than 300USD) at one time as you will end up with a large wad of notes. The largest denomination is currently 500,000 dong (approx. USD 24). Other paper notes are 1,000, 2,000, 5,000; 10,000, 20,000, 50,000, 100,000 and 200,000 Dong. Most are clearly identifiable by color but you may get confused when the color of 500.000 is quiet similar to 20.000 therefore a tip for you is keep your 500.000 separately from the other notes. When receiving the changes back from the sellers, you also you need to be careful that the Vietnamese notes you get are not torn, this is because many shops and restaurants will not accept them. If you use all the VND, you can exchange the rest of 300USD for more Vietnamdong at any local banks around the tourist area. Just to ensure the USD notes that you bring along are clean and undamaged, to be issued no later than 2003 as banks and other exchanges will not accept any notes which are old, torn, excessively crumpled or have writing on them. If you need to buy any valuable things at a large amount, you should consider to use credit card instead of paying in cash. Visa and Master card are becoming more accepted in many hotels and restaurants, especially in the larger cities with usually a surcharge of 3% – 3.5%/ transaction. In case you use all of the money that you bring along, you can withdraw money at the ATM with 24hour cash withdrawal facilities around the tourist area such as Hanoi, Da nang, Hoi An or Ho Chi Minh City. Most ATMs enables you to get cash from VISA, MASTER CARD, Cirrus, Maestro, Plus and JCB network. Under Vietnamese law, ATM may only dispense cash in Vietnamese Dong. Current amounts that can be withdrawn at any one time is usually pretty low at 2,000,000 Dong (~ 95 USD) with an additional usage charge variable from 30.000d up (around 15USD). The best choice may still be (November 2015) Commonwealth Bank (Australia) with a 40,000d fee and a max limit of more than 10.000.000d but the ATMs of CBA bank are only available in Ho Chi Minh City (commbank.com.vn/atms-location.html). ANZ and HSBC ATMs can be found in Hanoi, Da nang have a 10.000.000d and 4,800,000d but with high fees. Citibank ATM at HCM Airport permits withdrawals of 8,500,000 Dong. Donga can go up to 5.000.000 Dong but it only accepts card from the Visa circuit, no MasterCard. Hope you have helpful ideas for preparing for your trip. Happy traveling! 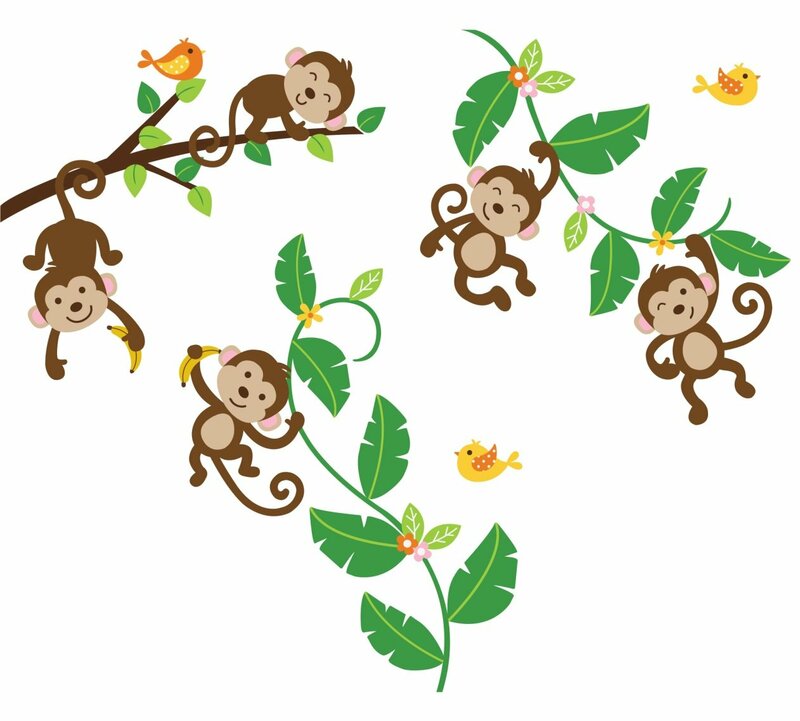 Actually, ones born with monkey sign can do well in many fields, but no matter how successful they can be, they are satisfied with what they get and rarely complaint about their life or compare themselves with the more wealthy one. That is the core reason makes this zodiac sign a fully happy person. The same to cat, dog is a close friend to Vietnamese and they respect dog for its faithfulness. People with dog sign are secretive and you can feel free telling them your secrets that you mind not feel comfortable telling someone else. However, the dog zodiac often worry without reason and this make her/him often nervous, peevish. If you are dating a dog girl or boy, don’t rush yourself. She or he needs time to get used to with your presence and believe in you. Trust is of utmost importance to a dog sign holder and they need much time and effort to consolidate the trust. Vietnamese witness many dog zodiacs having troubles in relationship and marriage so they believe that dog zodiac groom should meet and bring the bride home twice to avoid marriage breaking in the future. Pig, after the buffalo, stands second in importance among Vietnam’s animal in everyday life. The economic value it brings about is great and until now pork is the the most common meat types in Vietnamese’s diets from mountain to delta region. 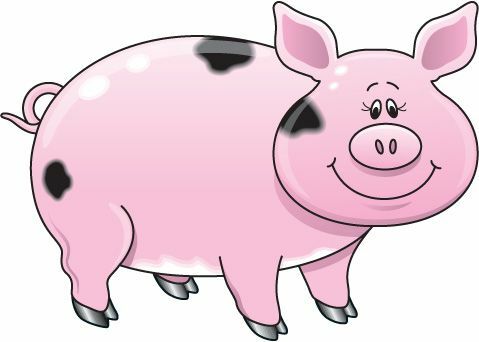 Great pig role in Vietnam life makes an amazing zodiac that is always optimistic in any situation. Stressed city dwellers, it’s time to relax. We have rounded up our favourite places for a few hours of tranquility, whether you’re on a budget or seeking more deluxe treatment. in the capital. With regulars scrambling for spots in wooden barrels and masseurs who chat on their cell phones while pummelling your stomach, it’s hardly an oasis of calm. But the price can’t be beat, nor can the authentic vibe. Soak in a barrel of warm water infused with traditional Red Dao herbs, then drag yourself out to sip ginger tea in a Jacuzzi, followed by a session in a steam room perfumed with lemongrass, pomelo and lime leaves. After a vigorous Vietnamese massage, you’re nudged out the door with a light meal of chao, fruit and nuoc rau ma, a bracing, grassy drink brewed from an herb grown in nearby Thanh Hoa Province. In the frenetic and hectic city of Hanoi a haven of peace and quiet awaits you. Located in the heart of the Old Quarter, it is near popular other attractions. SF Spa will introduce you to a different side of Vietnam and we assure you that you will not be disappointed. As a professional spa in Hanoi, we have a wide range of massages and spa body treatments each as enjoyable as the next. Indulge in an aromatherapy massage, a foot massage or other thorough treatments done by our highly trained Vietnamese therapists. You will be given a warm welcome by our smiling and helpful staff. Get closer to the traditional Vietnamese culture while enjoying a traditional massage made in accordance with the Vietnamese savoir-faire and style. For your own well-being, we only use delightfully scented natural products. Let yourself be overwhelmed by a feeling of well-being and be lulled by the calming atmosphere and the relaxing music. SF Spa may be the solution to a stressful everyday life. Take some time off and let yourself be pampered in a cosy environment. SF Spa Hanoi Lakeview 7 Cau Go Lane, Cau Go Str., Hoan Kiem Dist., Ha Noi. Email: sfintercare@gmail.com| Web: http://sfcompany.net/. Reservations recommended. Email: info@hanoilasiestahotel.com | Reservations required. At this West Lake spa, founder Lan Huong Nguyen draws on the herbal remedies she grew up using to help city dwellers de-stress from modern life. Organic plants from her garden just outside Hanoi provide ingredients for treatments like Metal, Wood and Earth, which kicks off with an exfoliating scrub made from freshly-ground Vietnamese coffee beans: the scent alone is enough to jolt you awake. Spend the next few hours sinking back into relaxation with a mud and honey treatment, a herbal flower bath and an Imperial Jade hot stone massage, which is supposed to improve circulation and melt away stress. Maybe it’s the stones, maybe it’s the bowl of pho ga that you get afterwards, but you’re likely to emerge filled with newfound content. ZEN Spa in West Lake – 17C Tu Hoa, Quang An, Tay Ho, Hanoi. Tel: (04) 3719 9889, zenspa.com.vn. Reservations required. Cai Rang floating market in Can Tho city is one of the 3 biggest one in Southern Vietnam. It is the home to cultures and customs, where you can learn most about the destination and get the authentic traveling experience. There is an interesting story about Cai Rang floating market: It is said that there was a big crocodile coming to this land from the old time. Its teeth were plugged into the river’s bank, thus, the area was called Cai Rang – “a tooth”(“Cai”: “a” and “Rang”:“tooth”). It’s nowadays a famous floating market in Mekong area. One more interesting things when visiting Cai Rang floating market is having breakfast like a local. Everything is also loaded on a boat: The kitchens, a restaurant… There are many options of popular noodles: noodle soup, noodle with toasted meat, rice soup, Hu Tieu… That’s absolutely an unforgettable traveling experience: You enjoy a bowl of noodles on boat, while watching the sunrise and the market. Last but not least, let’s see an interesting story of Mr.Gordon Ramsay (The Chef and Creator of MasterChef US) and Hu Tieu noodles (a very famous food) in Cai Rang market.